You must be a member of the Santiago de Chile Professional Networking Group to attend this activity. Would you like to join this group? Distinguished Members of the Professional Networking Santiago Group. 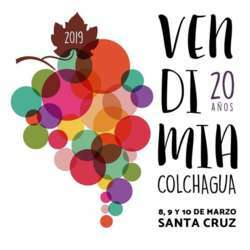 As usual, for the second year in a row we will participate in the Vendimia de Santa Cruz Protected content , As Consultant of the Group, I will go as an advanced group and I will stay from Friday to Sunday at Protected content with a view to the Vendimia Protected content . The way to participate is very simple you just have to coordinate with your friends, to travel to Santa Cruz and share with the rest of the InterNations members. Once we have the official list, we will make the reservation for lunch at the famous Protected content (Where the Service is Dreamed and having lunch on its terraces is another world). After this camaraderie lunch the account will be divided in equal parts without exception among all the guests and we will go to the Plaza de Armas to share with the people and their traditions. We will inform you about the values ​​of the Hotel, Lunch and other associates; so that you are prepared for a vibrant and exceptional experience, we will have a very special guest such as Viña Owner and Golfer.